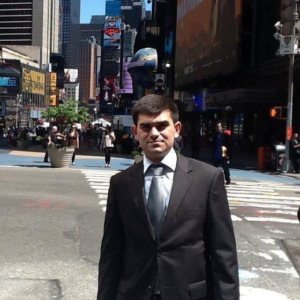 Saba Tavelishvili, second year student of Master programme in International Relations and Diplomacy from Georgia, talks about his experience at Vytautas Magnus University. Why did you choose your study course and in WMU? Was it just lucky choice or dream that you worked for? You are studying your last year, maybe you could explain what VMU and your academic program gave to you and your personality? First of all, I should underline the role of my university that I became more interested in academic life, I mean working on papers, articles and trying to present my works on several international or local conferences. Talking about personality I would say that I developed the sense of self-awareness as my study program is highly qualified and the professionalism of academic staff is on a high level. What did you mostly like about VMU? Could you give our universities pluses? About the pluses of VMU I can talk continuously, starting from friendly students and the soul of university which is so cozy that it never will leave you. But I would like to separate the internationalism of the university, lots of foreigners are coming to this university which is developing so called networking and exploring lots of cultures which is the most important thing in your life and even in our carrier. During your studies did you participate in various university clubs or activities? What these clubs gave to you? Could you recommend something to your younger colleagues? Well, clubs and activities is the most important part of the studies. Theoretical part can be taught from books lectures and so on, however clubs, conferences and other activities are giving a chance practically implement your knowledge, develop it and adopt yourself for future carrier, as in such activities student can find the main direction of his/her carrier. My recommendation to young generation would be to take the part in such activities as much as possible, to develop their skills of leadership, find what they want and what they like, and be to be sure that they are doing this because they really want and not just because that we need a legal paper to proof our knowledge. Have you participated in Erasmus+ programs? If yes, was it worth the time? What experience did you receive? What differences you could tell between Lithuania studies qualities and other countries? Erasmus+ program is one of the interesting and funniest time during the studies. First of all, you are changing a place and moving to another country and exploring it, secondly you can compare the quality of studies between the home and host universities, and in this competition always home university is winning because we are “patriots” of our university. And lastly your area of people is increasing and you are becoming the part of Erasmus family which will last during of our life. What are your plans for the future? Do you want to work according to your specialty? I’ve chosen IR studies because I’m really interested in this field, and my aim is to synchronize my work and specialty in the future. All my plans are connected to stay in this field, and for sure I will do PHD after I will gather an experience from the work. Could you give some advice to those who are going to study in VMU political science faculty? Be motivated, study hard, work hard and be friendly because VMU is the friendliest university in the world.